Couldn't believe it! 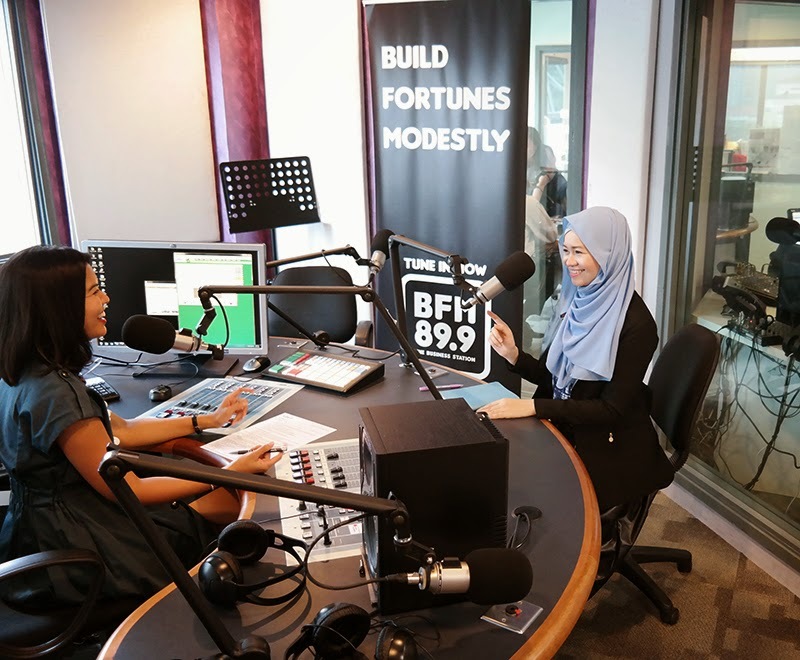 I had my first ever radio station interview by Azura with BFM this week and it's going to be broadcast in half an hour! In my previous post Powering Confidence , I mentioned that I went for the interview. I may have not mentioned that I was actually quite nervous!!! 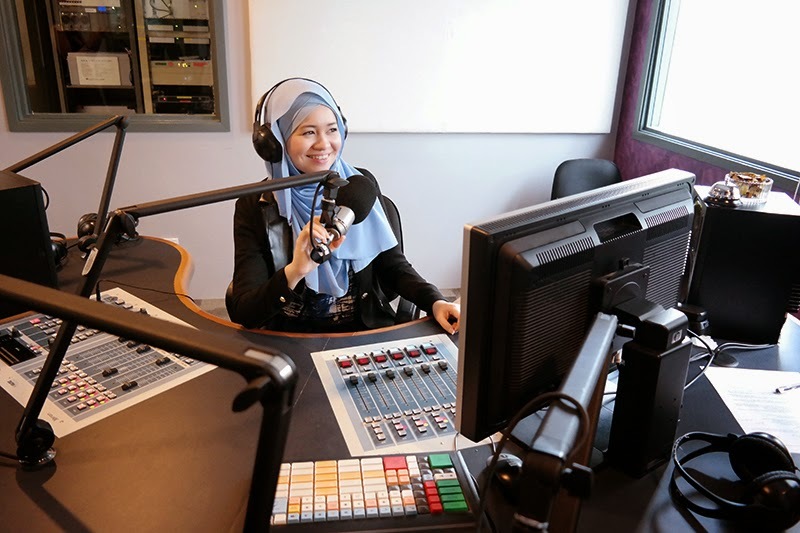 When I was in the car on the way to the venue and when I had arrived at the building, I was so nervous that I hesitated to press the door bell of the BFM office. I didn't show it to anyone though except @kneok who accompanied me to give me moral support. But as soon as I stepped in, my nerves began to calm as I met a few BFM peeps who were super duper friendly and came up to say hi to me. I was then introduced to the very bubbly, loud and cheerful host, Azura in the waiting room. 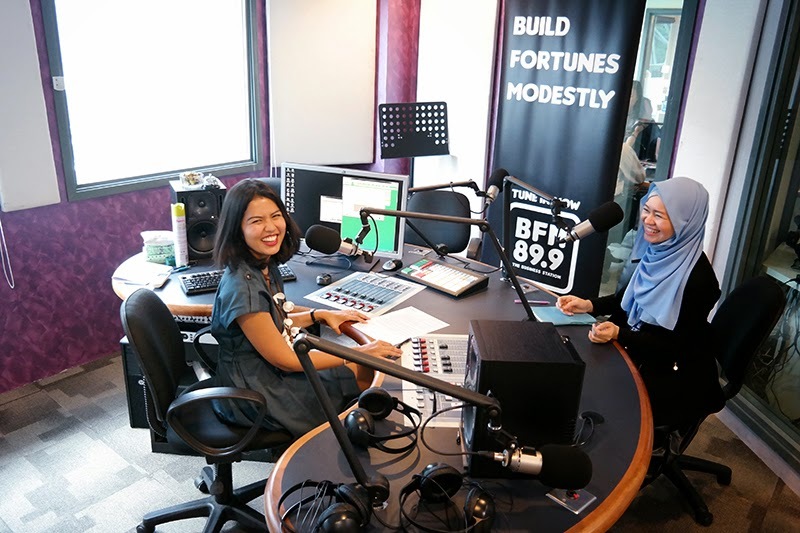 When she came in, we exchanged pleasantries and she started to ask me a few questions about myself that made me felt that the interview had already started. Hehe. But Azura and the questions she asked on the with of my careers, blogging and aere made me very comfortable. But because I already shared with her a few things while waiting for the equipment to be set up, during the actual interview I somehow forgot to share some of the stuffs I had already talked about. Oh well, I think I'll share the things I missed talking in the blog later. Glad it went smoothly. Although I was nervous at first, it was quite exciting to talk non-stop (hehe). I'm sure they'll have to edit out a lot, as it is only a 15 minute segment and I think I must've been talking for close to 45 mins, even though I felt that it was quite quick. Haha. Don't know how I'll sound like on air, but I'm going to find out really soon! 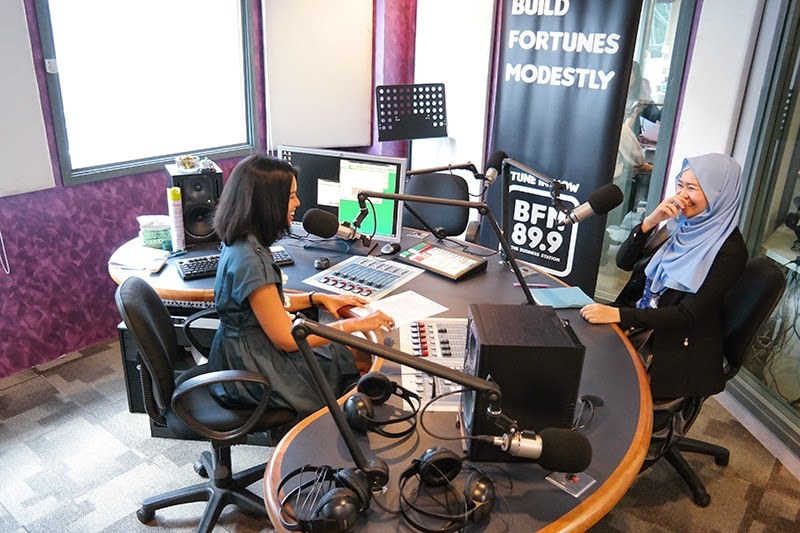 It'll be on air 11am today at 89.9 BFM Radio Station or you can click HERE to listen to it live. Got this podcast from HERE!